Deol Limo now has a unique limo service for parties and tours. We offer custom built party limousine buses for groups, friends, families, school excursions, and tours. Our bus limos can be used for birthday parties, proms, bachelor parties, bachelorette parties and several other kinds of group travel and events. 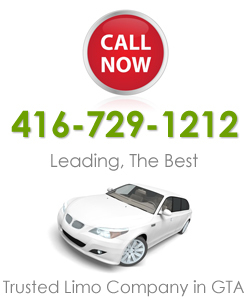 If you need professionally delivered limo service in Toronto, Brampton or Mississauga, give us a call today. Deol Limo has one of the largest selections of party limo buses. We have limos that can comfortably accommodate from 12 to 40 passengers. Our limousines are carefully maintained and kept in excellent working condition. We comply with the highest safety standards. In fact, you can come over to inspect the limo you want to hire. Or, take a short test drive. All our limo buses are fitted with state-of-the-art entertainment and special party facilities. So you can play the best music, dance, sing and have fun while you ride in luxury, style and comfort. For instance, our limos have very high quality audio and surround sound effects with subwoofer speakers. You can play music from various sources like CDs, MP3 players and iPods. You can also watch high definition movies with our flat screen HDTVs and DVD players. If you love playing games, you can connect your Xbox or PS3 games to the consoles in our limousines. In addition, our limousines have dance poles and strip poles to give you an exotic experience during your bachelor or bachelorette parties. All our chauffeurs deliver world-class service. They are punctual, courteous, friendly, professional and efficient. They are also experienced in handling group events and specialized parties like proms, bachelor and bachelorette parties. We treat all our clients in a unique way. So we offer personalized and customized services. We help you plan your event and offer very helpful advice from our years of experience in this field. Our rates are affordable and negotiable. We also offer discounts on some of our special packages. Our booking process is fast and easy. So within an hour, you can make a reservation for your party limousine bus. Just give us a call using the phone number on this web page. All your inquiries will receive prompt and professional answers. If you need more information, you can also send us an e-mail.